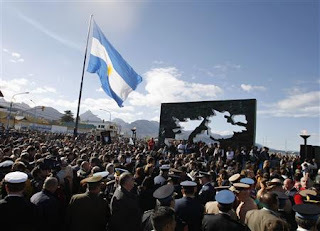 AILÍN: Las Malvinas...they're ours and we want them back..
Las Malvinas...they're ours and we want them back..
During a ceremony to commemorate their War Dead, the Argentinian Vice-President declared that Las Malvinas are Argentinian and that they will get them back. Las Malvinas (the falklands) have been controlled by Britian since 1833. Isn't it time to get out and give the Islands back?